Senator Roy C. Afflerbach, Ret. is founder and President of The Afflerbach Group, LLC. He personally selects the clients, associates, and strategic partners with whom the firm works. In addition to directing the overall activities of the Group, he assists individual client-partners with strategic planning and is the Group’s principal lobbyist. Senator Afflerbach’s experience and access to government circles spans nearly forty-eight years, during which he has earned more than fifty public service awards. After serving in the United States Air Force, he served as senior staff in the Pennsylvania Senate, a two-term Member of the State House of Representatives, a three-term State Senator, and Mayor of the City of Allentown, the third largest city in Pennsylvania. As a member of the PA House of Representatives, Roy chaired the Select Committee on Citizens with Disabilities. In the Senate, he served as Democratic Chairman of the Consumer Protection and Professional Licensure Committee, the Banking and Insurance Committee, and the Local Government Committee. Additionally, Senator Afflerbach served as the Majority Caucus Secretary, a position in which he was tasked with recommending and achieving bi-partisan Senate confirmation for more than 600 gubernatorial nominees in fifteen months. Senator Afflerbach also served as a member of the bi-partisan Legislative Budget and Finance Committee, the Board of Directors of the PA Public Television Network Commission, the PA Local Government Commission, the State Employees Retirement System, the Lehigh Valley Economic Development Corporation, the Advisory Board of Penn State Lehigh Valley, and the Board of Directors of Lehigh Valley College. 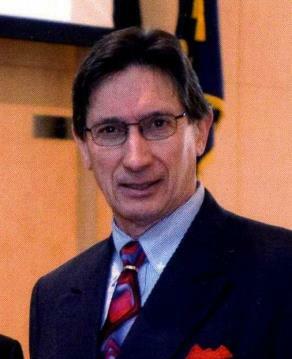 He was a Charter Member of the Advisory Committee for the National Task Force on Community Preparedness and Response, chaired by former Virginia Governor James S. Gilmore. Between his service as a member of the Senate and as Mayor of Allentown, Roy served as an independent consultant and lobbyist. Included among his principal clients were Pennsylvania’s eight public television stations and eRAD, a cutting edge digitized radiology software company. His present clients include The Humane Society of the United States (HSUS), the National Adult Day Services Association (NADSA), the Pennsylvania Adult Day Services Association (PADSA), the Pennsylvania Association of Senior Centers (PASC), the Meals on Wheels Association of Pennsylvania (MOWAPA), and the Southwestern Pennsylvania Partnership for Aging (SWPPA). Roy earned a Bachelor of Arts degree, with honors, in English and a Master of Arts degree, with highest honors, in Political Science at Kutztown University. His Master’s thesis, “County Home Rule – Fact or Fiction” has been utilized as a guide by both proponents and opponents of home rule charters in Pennsylvania.